Due to the closure of the LED Lighting Facts program, the LED Lighting Facts Approved Labs list will be removed from the web on March 30. 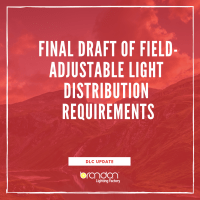 Because the DLC relied on the Lighting Facts list for labs approved to conduct LM-79 testing, the DLC will now maintain its own list of approved labs. The DLC website now lists all labs that can conduct LM-79 testing for DLC applications, including the effective dates of each lab’s accreditation. 1. The chosen accreditation body must be listed on the DLC Testing Lab Requirements webpage (see the next section for details). 2. The testing laboratory must submit a document proving the laboratory’s accreditation, including the subsections of LM-79 testing covered by the accreditation and the effective and expiration dates of the accreditation. 3. The testing laboratory must submit proof that proficiency testing has been completed through the NIST LM-79 Measurement Assurance Program (M.A.P.) service. Effective and expiration dates of proficiency testing must be detailed. Effective March 22, 2018 testing in general, the accreditation must include or be accompanied by proof of proficiency testing (addressing challenges such as particular spectral distributions, remote phosphors, particular intensity distributions, and particular electrical characteristics of samples). As defined in ISO/IEC Guide 43 on proficiency testing, the accreditation process for LM-79 must include periodic repetition and revalidation of proficiency testing (through a documented and regularly scheduled round-robin testing and verification process). The DLC will recognize proficiency testing fulfilled through the LM-79 M.A.P. service available from NIST. 1. 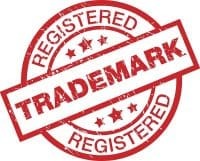 The accreditation body must have a Mutual Recognition Arrangement (MRA) in place with international oversight traceable to the International Laboratory Accreditation Cooperation (ILAC). Proof of this agreement must be submitted to the DLC. 2. A document describing the LM-79 accreditation process must be published or provided by the accreditation body. 3. A document describing the experience and competence of the quality assessor teams for LM-79 accreditation with regard to absolute photometry and SSL testing must be provided. This includes competencies listed in section 2.2.3 of the ILAC Guidelines on Qualifications and Competence of Assessors and Technical Experts, articles 2.2.3.1 and 2.2.3.2 concerning estimation of measurement uncertainties and analysis of proficiency testing needs and results. The DLC lists additional recognized LM-79 accreditation bodies on its Testing Lab Requirements webpage. Accreditation bodies wishing to be listed must submit documentation of the items above to [email protected] The testing laboratory may submit this information on behalf of the accreditation body. The DLC team will review the documentation and determine whether the accreditation body meets the recognition requirements before listing it on the DLC Approved LM-79 Testing Labs list. Updates to the approved labs list will be made within 2 business days of approving documentation from the lab.